Quiet setting close to Hwy285, 360 views. Perfect gentleman's ranch, all the work is done. AWESOME remodeled home, 3bed/2bath, 2car attached garage. 36x40' barn w/electric, water. Property is fenced & cross-fenced. Home offers open floor plan w/granite countertops, new Samsung SS appliances, electric glass cooktop, stove, fridge, DW & built-in microwave. 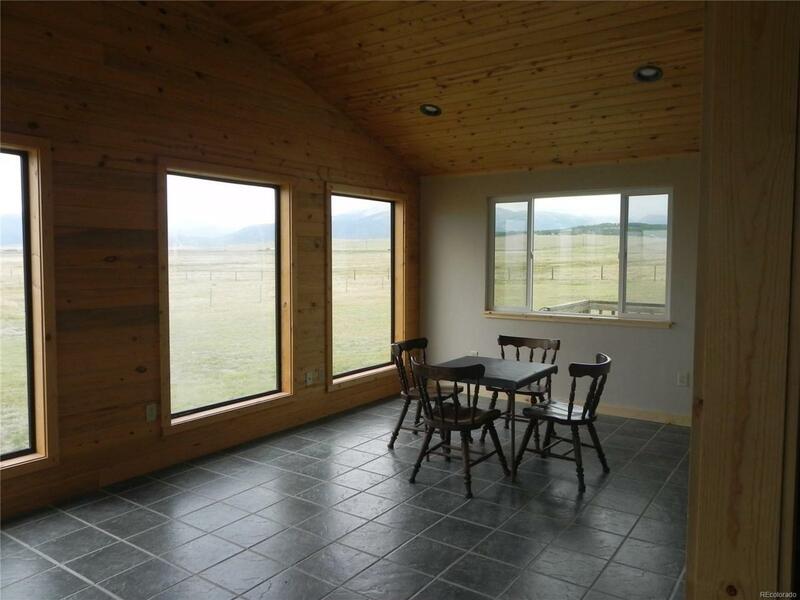 Spacious sunroom captures the majestic mountain sunsets. MBR offers 2 walk-in closets & 5piece bath. Zoned radiant heat, large unfin. basement.